French investigators have confirmed the wing flaperon found on Reunion Island belongs to missing Malaysia Airlines flight MH370. 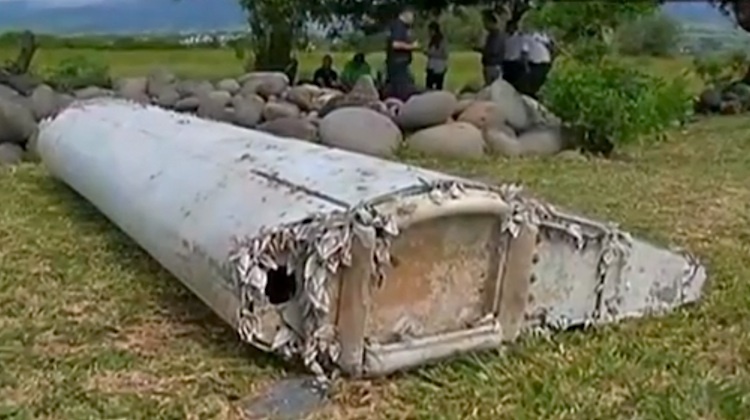 While Malaysia Prime Minister Najib Razak said on August 6 an international team of experts had “conclusively confirmed” the wing flaperon that washed up on the beach at Reunion Island did belong to the Boeing 777-200ER that operated MH370, 9M-MRO, French authorities were waiting on further analysis before reaching a similar conclusion. On Thursday (European time), French authorities in Paris said maintenance records showed serial numbers found inside the flaperon matched up with the missing 777, which disappeared enroute from Kuala Lumpur to Beijing on March 8 2014 with 239 people on board. “It is now possible to state with certainty that the flaperon found on July 29, 2015 corresponds to the flight MH370,” the Paris public prosecutor’s office said in a statement. The search for the missing aircraft, which is being coordinated by the Australian Transport Safety Bureau (ATSB), has so far covered more than 60,000 square kilometres of the Indian Ocean off the coast of Western Australia. There you go… so it’s not hiding away somewhere, waiting to be used in some terrorist attack, along with a thousand other conspiracy theories! Interestingly, reported int he aviation section of The Australian, a group of scientists at the Geomar Helmholtz Centre for Ocean ­Research in Kiel have said the type of barnacles on the flaperon are not found in the current search area but further north suggesting that the search area needs to mover north. Sadly, when the French were asked for a specimen by the centre, the French refused. I suspect some French organisation will publicly announce a similar finding in the near future. From what I saw on television I have a feeling the barnacles were cleaned off when the part was packed to go to France. Hence my comment in an earlier post. If not and they are still available then as Australia is leading the search I would hope somebody in a Australia would request a sample. Craigy, maybe the flapperon initially drifted north where it picked up the barnacles before then drifting west to Reunion Island. It was reported in the French newspaper Le Monde 4 Sep 15, after the Parquet de Paris press conference the day before, that the barnacles on the flaperon told them two things. One that the flaperon had been in the water for at least a year and two, that the barnacles on the flaperon came from tropical or temperate waters as they do not survive under 18°C. Also the study of the buoyancy of the flaperon confirmed that it floated just under the surface of the sea. I would say that the barnacles indicated only that it had spent some time in tropical or temperate wates before coming ashore in La Réunion and not necessarily that it started its water journey in the warmer waters. So are there any clues on how the flaperon became detached is there indication of it breaking loose prior to impact, at time of impact or becoming detached due to wave action/currents. In saying that it put this opinion forward. ‘Technology today is without a doubt very clever and I would suggest that some of the worlds Superpowers, like the USA, Russia and China have the capability to be able to track and know were exactly this aircraft is located on the bottom of the Indian Ocean, BUT not one of them will admit that they know where it is, as it will then tell the others how good their technology really is. Its a game of ‘cat and mouse’. They know in time that some more of the wreckage will float to the surface and eventually, in maybe years they will find this aircraft, without the Superpowers letting on how good their technology really is.